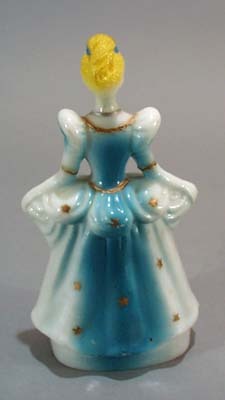 Cinderella Disney plastic Figurine. 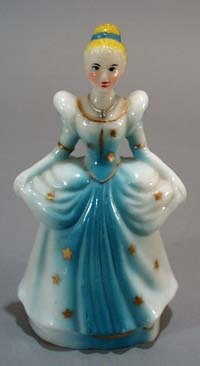 Nice older figurine with hand painted detail. White gown with blue center, gold stars and a silver necklace. Mint condition, Marked Walt Disney Productions Hong Kong on the back. Probably from the 1950 era. 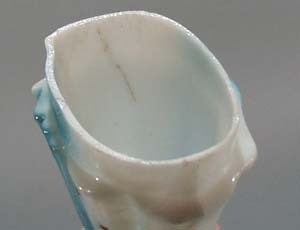 5 1/2 x 2 1/2"" The 3rd picture show the inside, there is a dark line that is a dark streak in the plastic, not a split, and not on the outside. Items Similar To "Cinderella Disney plastic Figurine"
Hallmark 2001 Cinderella's Castle~ GLOWS~ Disney Christmas Ornament NEW!